HILA (Home to Independence and Limitless Abilities) is the new entity set up by CareMalta Group. 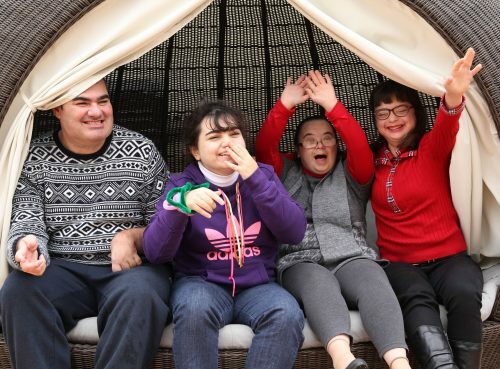 The aim of HILA is to offer a range of services to persons with disability including housing, learning and development and leisure with a person-centered approach. We believe in Choice. All individuals deserve the right to make their own choices, be accepted by society and be included in the community. We will ensure that our clients will enjoy their independence, follow their interests and feel that they are contributing towards building their own lives. We nurture Dignity. Treating every person with the respect and worthiness they deserve is a value we don’t compromise on. We ensure Safety. All our practices and our environments are designed with safety in mind. We support Development. A person-centered approach ensures the success of any development programme. Empowering persons through choice and developing individual abilities towards an inclusive and fulfilling life.